Your teeth affect your whole body. When they are healthy, you are healthier too. A missing tooth can affect your bite, speech, and diet. As you rely more on your remaining teeth, you increase the chance they will wear out prematurely or be damaged or lost. You may also experience headaches and/or jaw pain. Who would want their appearance and health to deteriorate? That’s the natural consequence of missing teeth. The jaw literally melts away. Generally people will lose 25% of their supporting jawbone structure within the first year after tooth loss. Dental implants are more easily placed when teeth are first extracted, because bone replacement becomes more complex as time passes. 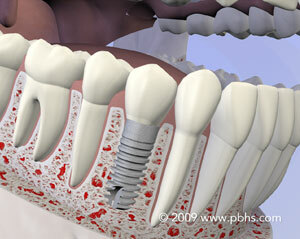 The great news is that implants act just like your natural teeth. They safeguard and preserve your bone structure, oral health, and appearance. Your dentist and the implant surgeon will provide you with options so you can make the most informed decision concerning tooth replacement. You can select from a number of different options to replace your missing teeth, from temporary to long-lasting solutions. A good candidate is anyone missing one or more teeth or who is unhappy with their dentures. Age is not a factor; however, smoking, diseases (e.g., diabetes), and radiation therapy to the area have been shown to lower the success rate of implant placement. X-rays of your jaw will be taken to evaluate whether they will accommodate implants. Detailed x-rays may also be required to determine if other tests or procedures are needed to place implants properly. A less fragile option is a removable partial denture cast in metal and plastic. It is held in place by wire clips. 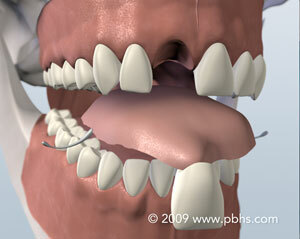 Now there are also removable partial dentures that are made of flexible plastic. 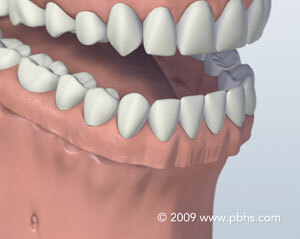 A removable partial denture can be removed and reinserted when required by the patient. 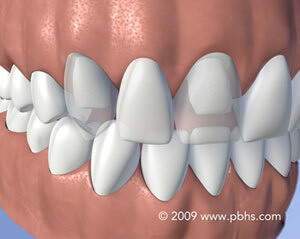 The most common solution for people missing all teeth in one or both jaws are complete dentures. Some people adapt well to dentures; however, others find them uncomfortable, bulky, and difficult to wear due to lack of retention and stability, which are compromised by bone loss. There are several reasons. 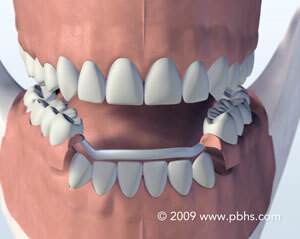 A dental bridge can sacrifice the structure of surrounding good teeth to bridge the space of the missing tooth. In addition, removing a denture or a “partial” at night may be inconvenient. Dentures that slip can be uncomfortable and rather embarrassing.